Some of you may know, I grew up on my family’s farm in Indiana. Hard work with daily doses of other frugal mantras were plenty in my overall upbringing. However, I never recalled an expectation that my dad would somehow be responsible for harvesting a crop if the combine didn’t work properly...the focus would’ve shifted to fixing the combine or replacing it. It wasn’t optional, extravagant, or only noticeably missed by a ‘refined ear’ to whether or not it was vital to the task at hand. While the expectation remained that harvest still needed to be completed, the acknowledgement that the combine was never ‘optional’ is my point. In Chicago, I have many friends in the restaurant industry. If (and when) any of the equipment breaks, it’s well understood that the chef can no longer act like “biz as usual.” When the equipment breaks or is faulty, no one should expect that the menu can be produced as usual (and shame on you if you do!) It is not a test of their ‘true skill’ if they can produce excellence with inadequate equipment. Why the heck is this the case in music? For both of our instruments, we’ve had ingrained into our psyche and expectation that one should never ‘blame’ the instrument. Why the hell not? If the keys on the piano cannot produce quick repetition, you cannot play fast, repeated-note passages. If there is disparity in the resonance of the violin’s four strings, it will not produce rich and clear double stops. If the voicing on the piano is uneven, your ability to smoothly recreate line and balance between the 20-something voices on the page is greatly diminished. If the stick of the bow is not well-balanced (like the tang of a sword), you cannot play passages that blossom and sing right next to flitting spiccato. Can I also just say: you know those classical recordings that you listen to? You know the soloists that you hear at your local symphony? They are equipped with 6-7 figure instruments. Does it make a difference? Yes. Yes, it absolutely does. Seven years ago, I was able to purchase a Boston grand. It’s short (at 5’4’’), but I’ve maintained it exceptionally well (thanks to my piano tech wife). It was the first time I had unlimited access to a piano that was fully functional and consistently in tune. Luckily—when it’s time— we can trade up. Within the Steinway family of pianos, Boston is it’s B tier. While I’ve been very happy with my Boston, it is simply not a concert instrument. It’s time to thank it and progress to a piano that sparks joy. On the violin front, Kit was loaned a new instrument to try out. This instrument would be comparable to her getting a ‘Boston’ in the violin world. It has been unbelievably exciting and frustrating. On one hand, it’s very encouraging to hear such a difference. But the amount of labor she had been accustomed to employing to extract a base level of musicianship and projection has been sobering to say the least. While some aspects have started to ease, the limitations are still plentiful. With the amount of energy and efficiency she loses in trying to get the instrument to perform at a level in which it realistically cannot, we had to have a heart to heart and say, it’s time to get a ‘Steinway’ (You know, the violin version. I only speak piano). Seven years of playing together, we’ve rehearsed....a lot. 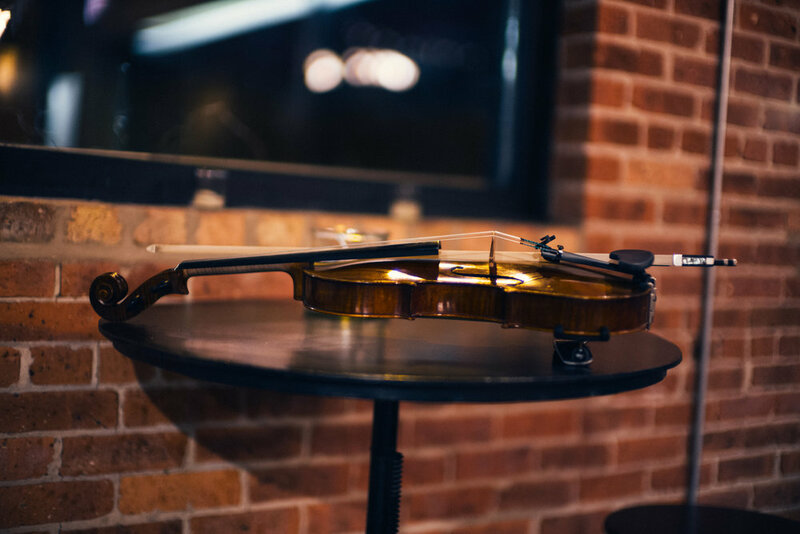 Our approach to violin and piano repertoire is unique to say the least. We approach the duo like a conductor and soloist. Both are important, both have a say, and both have different roles within their leadership. Yet, it’s just us. No orchestra to hide blemishes, or other members to create extra sonorities. 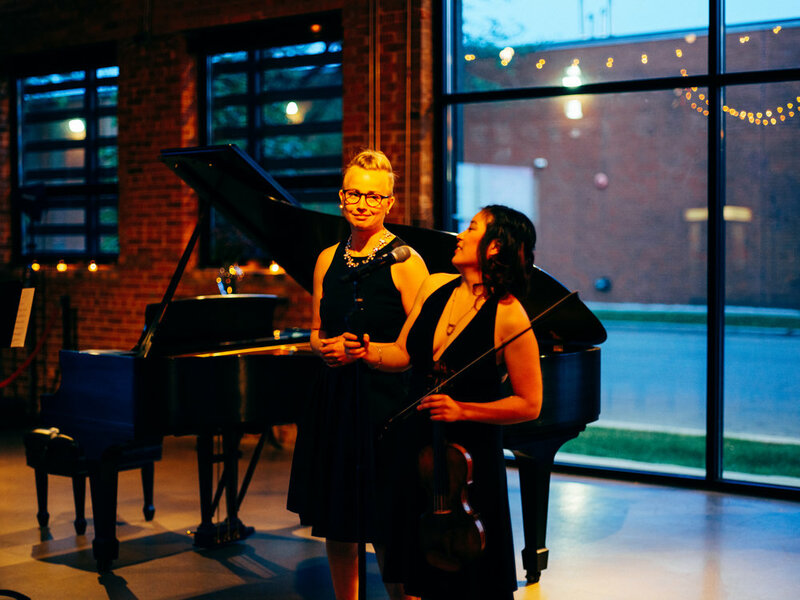 The obstacles we face as a violin and piano duo are many. But it’s time that our instruments are not one of them. And, I think it’s time for musicians to shed the unnecessary self-loathing and expectation to perform flawlessly and un-phased when required to crank out the menu—Biz as usual—when your equipment simply doesn’t work.